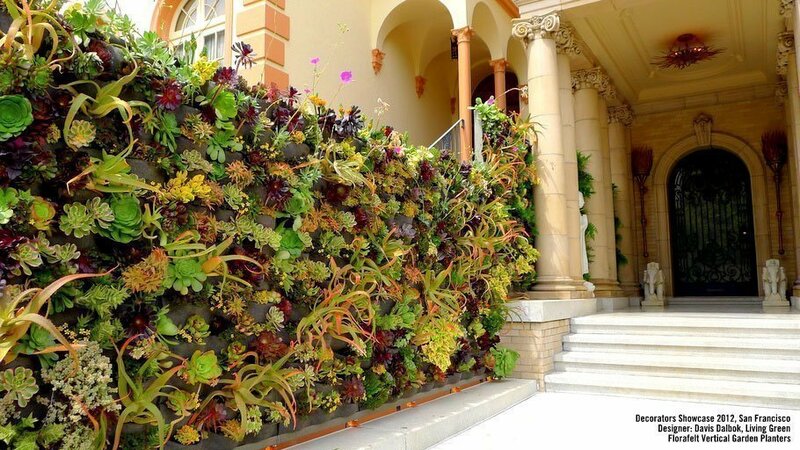 Florafelt vertical garden systems are used by architects, landscapers, interior designers and homeowners for vertical garden installations all over the world. Nothing makes us happier than receiving photos of these lush ever-changing creations. Let their astounding vision, botanical creativity and sheer excitement inspire your new plant wall – and remember to send us a photo of yours. In Kuwait, Nawaf Al-Bash of Terra Garden created a spectacular swooping design for a living wall at the Botanical Garden at Bayan Palace. 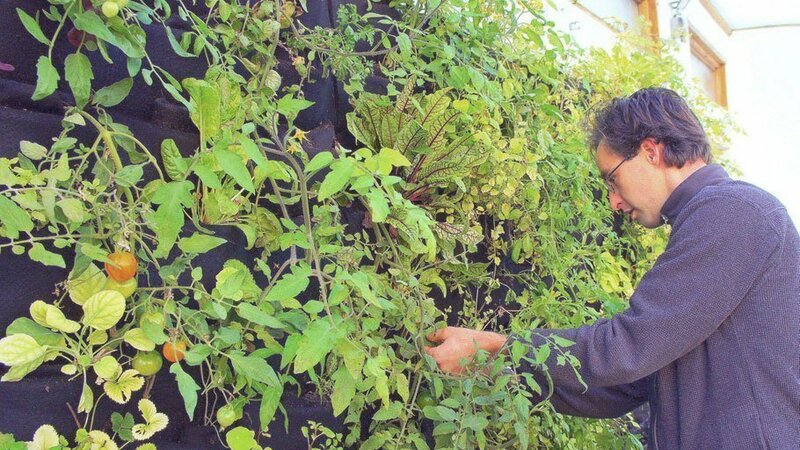 See how he used the Florafelt® Pockets system to build a huge canvas for a picture-perfect vertical garden. 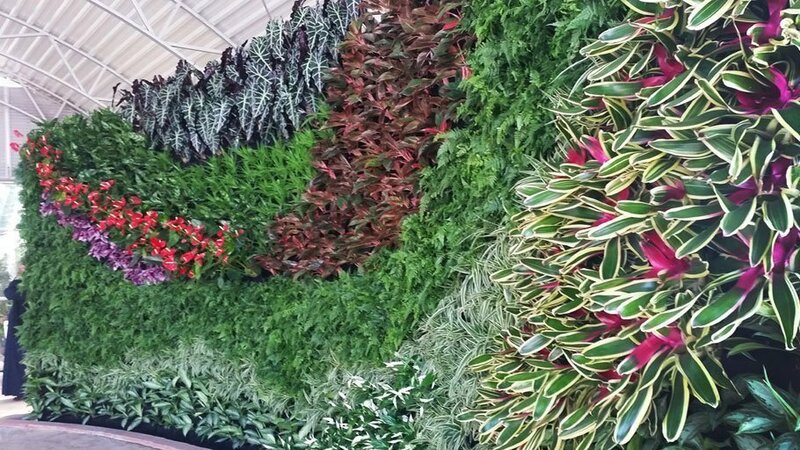 Florafelt living wall by Nawaf Al-Bash of Terra Garden Kuwait for the Botanical Garden at Bayan Palace, Kuwait. 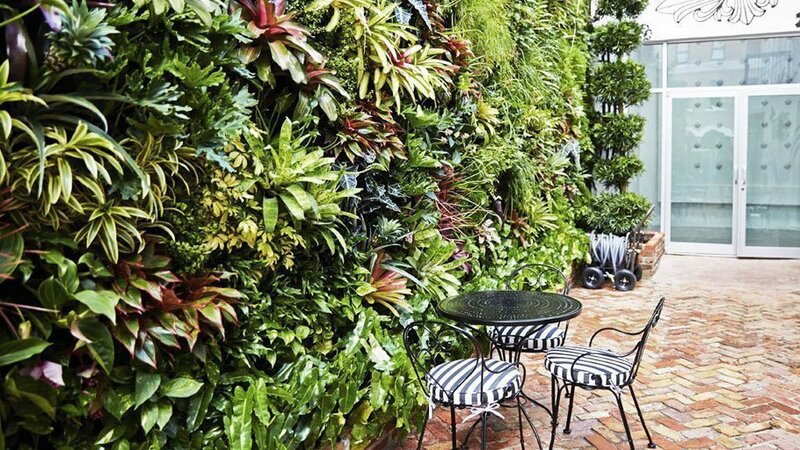 If you’re ever in Miami’s bustling Design District, don’t miss this incredible living wall designed by Jeff Allis of Truvine Design. Located in the inner courtyard of the Chrome Hearts Cafe and Boutique, it’s an ultra-hip towering oasis of over 1,000 exotic tropical plants like bromeliads and tillandsias happily perched in Florafelt® Pockets. Florafelt living wall by Jeffery Allis of Truvine Design for Chrome Hearts Cafe and Boutique in Miami. 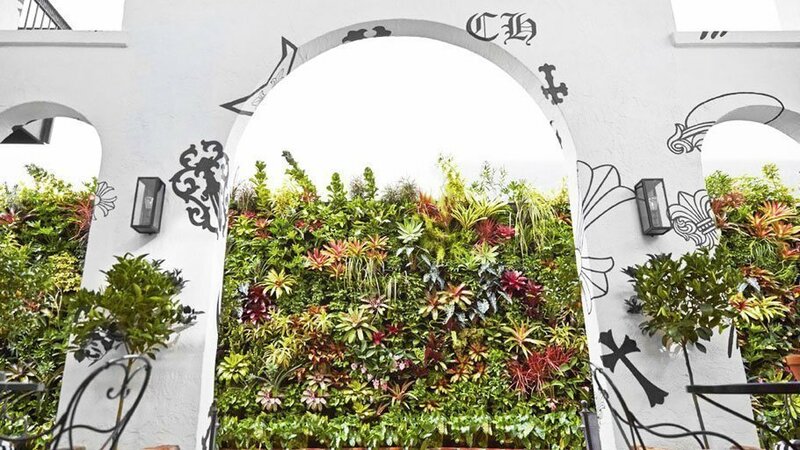 Florafelt Living Wall by Jeff Allis Of Truvine Design for Chrome Hearts Cafe and Boutique in Miami. Florafelt® Pockets panels are being used to grow a variety of thriving vegetables at Humble By Nature’s Solar Aquaponic Greenhouse. Conceived in partnership with Aquaponics UK, this sustainable farming concept creates a closed-loop ecosystem where fish and plants live in a symbiotic harmony that also saves water. Florafelt Vertical Garden at Humble by Nature’s Solar Aquaponic Greenhouse in Wye Valley, UK. Located in the heart of San Francisco’s Financial District, this vibrant vertical design teems with shade-loving plants like blue star, mother and leather ferns. Only six months after moving into their own mini skyscraper made of Florafelt® Pockets, these plants gave the facade luxuriant depth and added warmth to the building’s stone facing. Designed by Chris Bribach, Inventor of Florafelt® Systems. Florafelt living wall by Chris Bribach located in Downtown San Francisco. 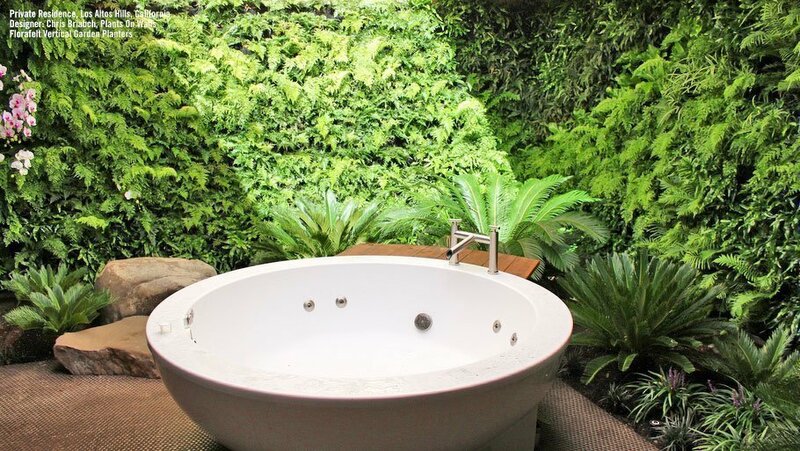 The architect for this luxurious living wall used dramatic up-lighting to showcase a private vertical jungle. Chris Bribach of Plants On Walls® designed successive waves of light-loving plants to create a natural continuum that brings the exterior sun-drenched atrium inside. Davis Dalbok of Living Green Design used Florafelt® Pockets to create a stunning display for the annual showcase to raise money for local schools in San Francisco’s swanky Pacific Heights neighborhood. The wildly colorful design welcomes guests with a parade of succulents that then blends into showy ferns toward the shadier entrance. Florafelt Living Wall by Davis Dalbok of Living Green Design for the 2012 San Francisco Decorators Showcase. Wispy steam-drenched ferns line a bathroom in this private residence in California’s Los Altos Hills. 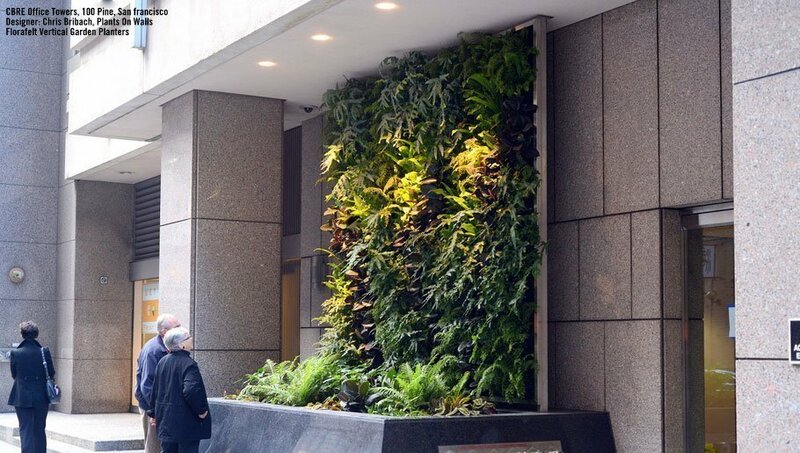 Davis Dalbok of Living Green Design mounted Florafelt® Pockets vertical garden planters on the existing masonry walls to create a lavish atrium paradise that loves getting splashed. 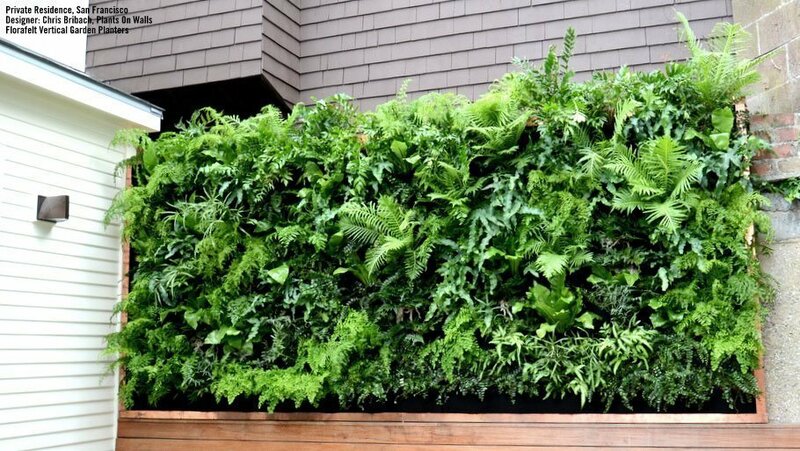 Florafelt living wall of ferns for a courtyard bathing room by Living Green Design for a Los Altos home. 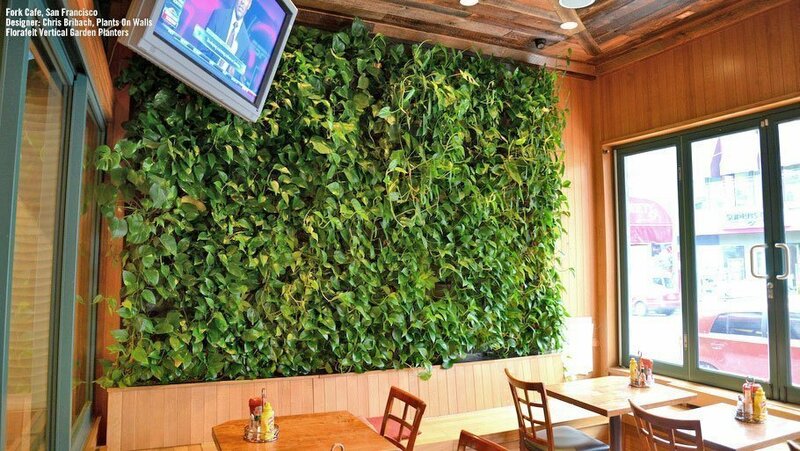 Chris Bribach of Plants On Walls® created a wall of philodendrons for Slurp, an Asian fusion restaurant on Castro Street in San Francisco. The towering jungle created an instantly distinctive environment for the newly opened restaurant, where customers dine with indoor comfort and outdoor style. Want a stunning way to show off your wall plants? Frame them. Chris Bribach of Plants On Walls® built this vertical fern display for a private residence in San Francisco and then beautifully accentuated the design with strips of striking copper. Florafelt living wall by Plants On Walls for a San Francisco home. This San Francisco resident wanted to make her industrial loft come alive – and there’s no better way than adding plants. Plants On Walls® installed wall planters and they added 492 tropical plants to create two exciting living walls in her live-work space. After two months of vigorous growth, they became truly spectacular pieces of living furniture. 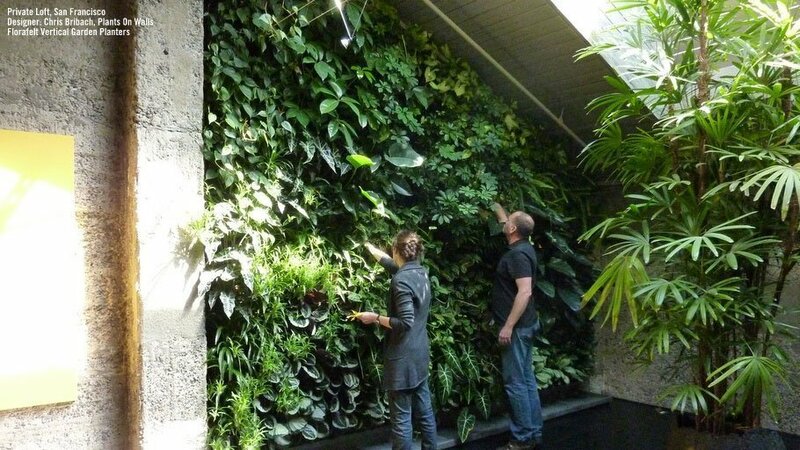 Florafelt living wall by Plants On Walls for a private loft residence in San Francisco. Peek at more projects on our Design Ideas Page.